Shipping. Must remember not to ship Draco and Hermione (Dramione) together x]. Wallpaper and background images in the Harry Potter Vs. Twilight club tagged: ron hermione romione. This Harry Potter Vs. Twilight photo might contain portrait, headshot, and closeup. 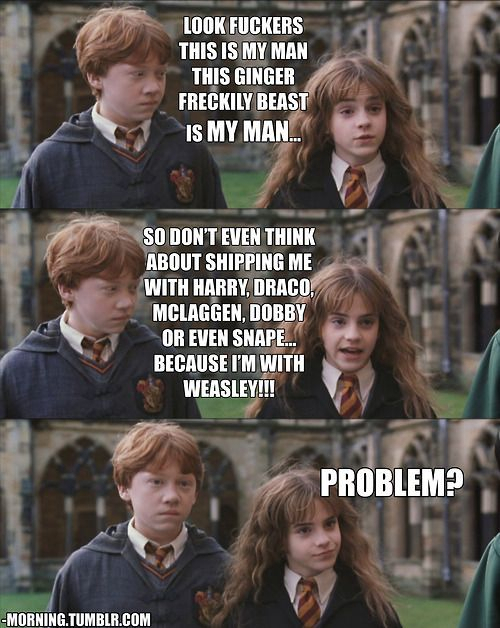 snape :O thats just eww..
"This Ginger freckily beast is my man"